Rip Blu-ray to almost all the popular video and audio formats with high quality and conversion speed. This Blu-ray Ripper helps you share your Blu-ray movie or music on more portable players, like iPod, iPhone, Gphone, Apple TV, PSP/PS3, Xbox, Mobile Phone, MP3 Player. It is easy to use and also supports converting Blu-ray to HD Video, movie editing, cliping. Now have free try? This convenient and simple Blu-ray Copy can help users copy Blu-ray movies to Blu-ray discs. It can not only copy the main movie, but also support copying overall content on Blu-ray disc including BD BonusView, BD Live etc. Discs Support:BD50(50G), BD25(25G), BD9(9.5G), BD5(4.7G). 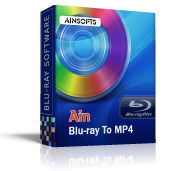 Convert Blu-ray to AVI format with high quality and speed. Support batch conversion and preview. Just several clicks, Blu-ray to AVI Converter will convert Blu-ray to AVI-H.264, AVI-XviD, AVI-DivX, AVI-MPEG4 with all popular AVI coded formats. With its professional edit function, users could choose applicable video definition, video size and audio channel that meet your needs before Blu-ray to AVI conversion. Convert Blu-ray to iPod format with better definition, video quality and high speed. With this Blu-ray to iPod Converter, quickly convert Blu-ray to MP4, MPEG-4 AVC/H.264, MP3, M4V that iPod supported, you can share your favourite Blu-ray movies on more portable devices, as iPod touch, iPod classic, iPod nano, iPhone, iPad, PSP, Zune. You can convert any part you like by setting the begin and end time for your conversion through the preview window. And it is very easy to use for novice. Only three steps, you will get your satisfactory conversion. Convert Blu-ray to MP3 format with perfect sound and high speed. This Blu-ray to MP3 Converter can help you convert Blu-ray to MP3, AAC, OGG, RA, WMA, WAV, share the shock Blu-ray audio iPod, iPhone, MP3 player. This Blu-ray to MP4 Converter can help you convert Blu-ray to MP4, MPEG-4, MPEG-4/H.264 with different output profile to meet your needs better, share your Blu-Ray on more devices, as iPod, iPhone, Apple TV, PSP, PS3, XBOX360, Zune, Cell phone. Assist you to convert any part you like, what you need do is to set the begin and end time during preview. And it’s easy to use. Convert Blu-ray to MPEG format with perfect sound and high speed. This Blu-ray to MPEG Converter can help you share Blu-ray on more devices, like Apple TV, PS3, ARCHOS 7. Assist you to convert any part you like, what you need do is to set the begin and end time for your conversion during preview. And it’s easy to use. Convert Blu-ray to PS3 format with perfect quality and high speed. With this easy-to-use Blu-ray to PS3 Converter, you can quickly convert Blu-ray to MP4, MPEG-4 AVC, MPEG-4/H.264, MP3 with higher quality for your PSP or PS3. You can convert any part you like by setting begin and end time for your conversion through preview widows. And it’s easy to use. Blu-ray to WMV Converter can help you convert Blu-ray to WMV format with high quality and high speed. Blu-Ray to WMV Converter convert Blu-ray to WMV and HD WMV with higer output quality, can help you share Blu-ray movie more conveniently and fleetly. Convert Blu-ray to HD Video format with same quality as original Blu-Ray. This converter helps you convert Blu-ray to HD Video formats, such as HD AVI, HD MPEG-4, HD AVC, HD MOV, HD TS, HD WMV, etc. With Blu-ray to HD Video Converter, you can snapshot beautiful pictures, crop Blu-ray movie to get your favourite clips. With its professional edit function, users could choose applicable video definition, video size and audio channel for HD AVI, HD WMV, HD TS, HD MKV video that meet your needs before Blu-ray to HD Video conversion.